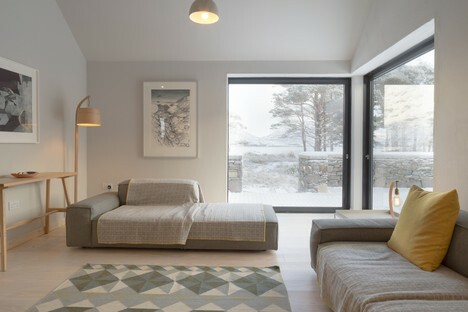 Immersed in the wintery landscape of the Scottish West Highlands, with the mountains reflected in the nearby lake, a snowy roof and a blazing stove, the home has all the understated charm of a timeless construction which is there because it couldn’t possibly be anywhere else. 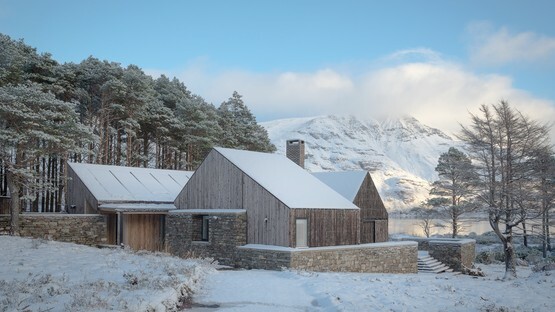 This is how Haysom Ward Miller Architects’ Lochside House appears in Richard Fraser’s photo service. 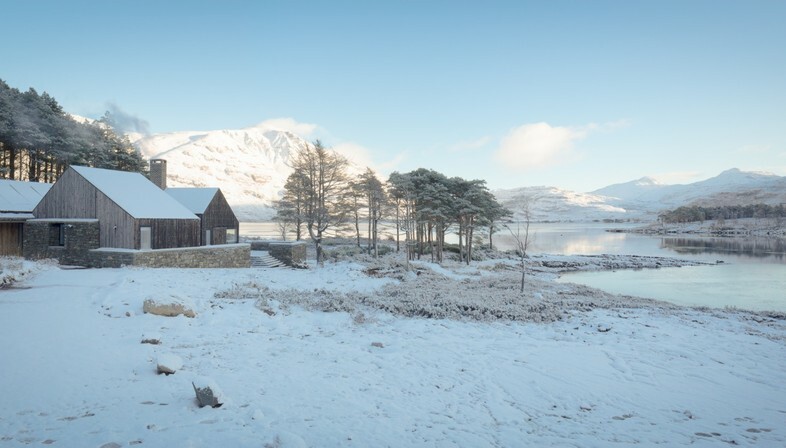 In Richard Fraser’s photographs the house looks like something out of a Christmas fairy-tale. 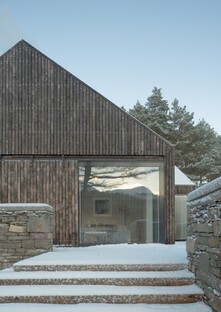 The RIBA judges must have had the same impression when they visited the home, for Lochside House, designed by Haysom Ward Miller Architects, has been named RIBA House of the Year 2018, a title the Royal Institute of British Architects awards to the best house built in Britain by a British architect every year. 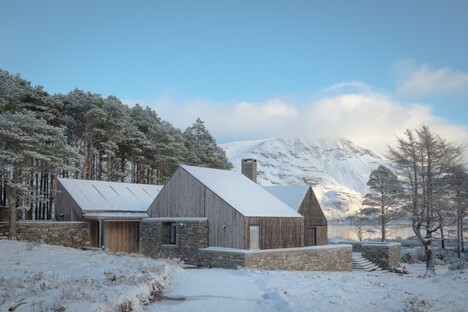 This year’s winner was announced on 28 November 2018 during the final episode in the series Grand Designs: RIBA House of the Year, broadcast on Channel 4. “The scale, material choices, use of the setting and integration into the landscape were all excellent. A sustainable building making good use of wood was a delight to visit. The care in the design and in the building of this house makes it an exemplar of its genre,” said the judges who selected the RIBA House of the Year 2018. 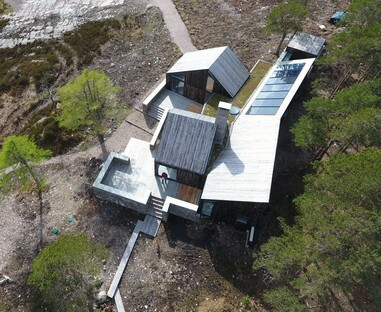 Its inclusion in the wild, rocky natural landscape is certainly one of Lochside House’s strong points. 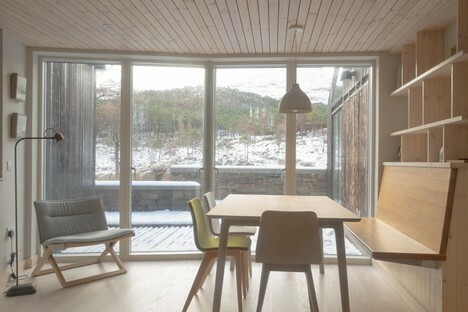 The house has become an integral part of this area on the bank of a lake in the West Highlands, and the choice of construction materials is perfectly in line with the features of the land. 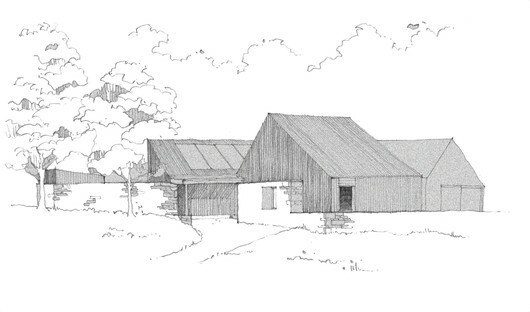 Lochside House is not a single building; it is made up of three volumes, separate but close together and relating to one another, which share the same base and fence. 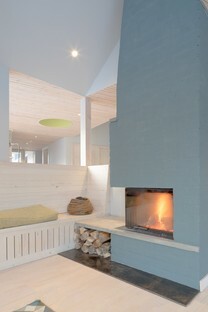 Detached from the residential part, even while preserving the same material and formal building, it is the studio and workshop of the client, a ceramic artist. The architects made use of the natural orography of the land to partially hide the buildings. 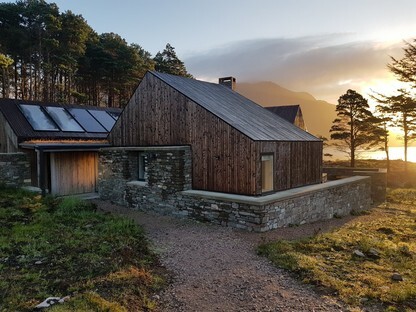 The choice of larch wood cladding treated to appear aged helps the building blend into the landscape around it, and the protective dry walls that become the element connecting the constructions with the earth. 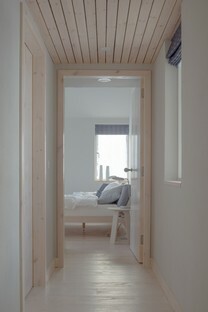 The interiors are cosy in size, reflecting the sobriety of the exteriors. Pale wooden cladding and furniture, rough white plastered surfaces, and big windows framing marvellous views of the landscape blend with the owner’s art collection to convey a sense of comfort, warmth and familiarity. To reduce the building’s impact on its surroundings to a minimum, the home is self-sufficient in terms of water, with a well, and electricity, thanks to a series of solar and photovoltaic panels. Architect Tom Miller of Haysom Ward Miller Architects says the inaccessibility of the site represented a major challenge in the project, overcome thanks to the client’s determination and uncompromising vision and the talent of the workers involved in the project.